Ok, here is the first screenshot of the mod, of course we are still at development phase, correcting multiple errors and adding graphic details. Rafiki wrote: Looking good, aryaman. I was granted permission to use some graphic material from Europa Barbarorum (a mod of Rome Total War), then I adapt them to my requirements. Excellent, it is always moving when a game takes form! It looks very promising, aryaman. Do you manage to adapt all unit panel stats (off fire, def fire ..etc..) to that specific game period ? Adlertag wrote: It looks very promising, aryaman. I'm sure the mod will be great! I can't wait to try it! It covers one of my favorite historical eras. Good news about EB graphics. They are top quality! What happens with the map graphics? Are they in the making? I supposed the mod would use the standard ones from NCP. or from the artistic one? If you have a copy of Roma: Total War, I have some editing tips to suggest you. 1. Enter the program, (Roma: Total War) and generate a battle, seleting units at will for your army. 2. Use the higher resolution you can with you PC. 3. Start taking on game screenshots, panning and zooming at will over deployed units. 4. Select best screenshots, then work them with any graphic program: photoshop or other..... With some practice you should get your Armies, Units, Models picture to be used with Your great Punic WAR, NCP mod! BTW, you should not have copywright troubles, because you are taking your own screenshot from a licensed program, (You bought your copy of Roma: Total War!). Than, You modded your screenshot on your own, and finally the mod is freeware! Here are some Units I edited according to reported ruotine from WarHammer: Mark of Chaos. They are in the 81x81 size proper of NCP Unit-figures. I'm considering to carry the Dark shadowns of Warhammer Universe over NCP! But at moment I'm till very busy with a mess of other issues! It would be even more interesting to know whether this is correct. I cannot believe that the artist looses all intellectual properties as soon as you take a screenshot and modify something. aryaman, what do you mean with cards game, juego de cartas? Not from the PC game? 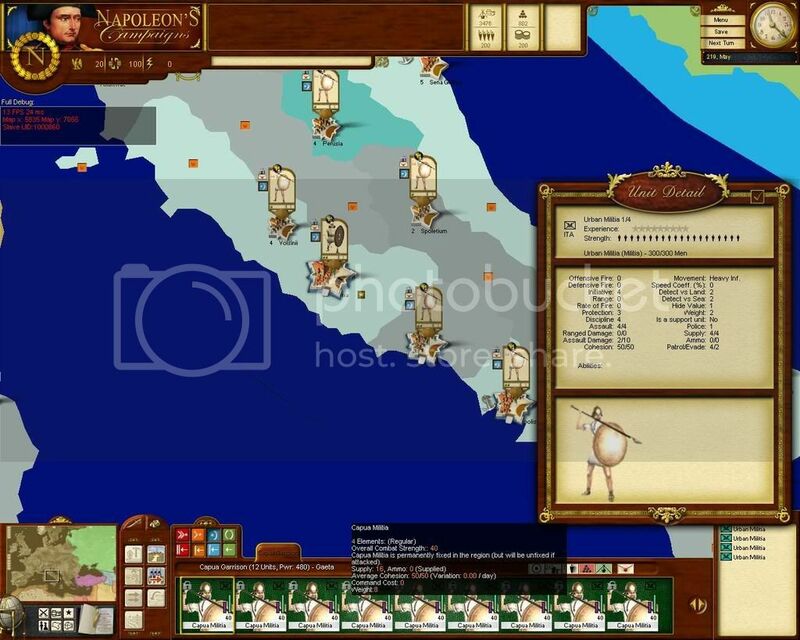 Rome Total War is a PC game and Europa Barborum is a Mod, but are there cards games too? Never played these games. Is there a lawyer expert in copyrights out there? dooya wrote: It would be even more interesting to know whether this is correct. I'm not en expert in copywright laws. BTW, you [color="Red"]should not[/color] have copywright troubles, because you are taking your own screenshot from a licensed program, (You bought your copy of Roma: Total War!). Indeed, what you evidenced should be true for anything else. For example leader portraits edited over original paints should be a violation of copywright laws, but you get an usage permission from museums or private collections owning it! Same is true for pictures illustrating events, when coming from historical reprodution. Did you get the permissions from generals heirs to use their ancestors in a game? jastaV wrote: I'm not en expert in copywright laws. Some pictures are from public domain (for example, most of the rulers of the world have "public domain" pictures obviously), and some that you can find on the internet are not. I supose in many of these cases, considering how old the pictures are, have become "public domain" because of age... but i am not an expert on this issue (how long it takes for a picture to become "public domain"). Taking screenshots from a recently published game and using it in another game without authorization from the publisher/developer... is SURELLY a copyright violation. You do not "own" the content of the screenshot. Generalisimo wrote: Some pictures are from public domain (for example, most of the rulers of the world have "public domain" pictures obviously), and some that you can find on the internet are not. Later when I'll have clarify myself I'm able to carry to completion a complex modding process, I could contact WH publishers for their use permission. That the way I keep moving everytime I use 3rd party material, even freeware one. Developing a WH mod could be in the interst of both WH & AGEod company for commercial reasons: WH enthusiastic users could approach NCP while WH-NCP users will want try original WH products. You are right as regard "public domain" photos of worldwide leaders. Guess, you are not completelt right when you use a famous portrait to abstract a game figure! Indeed you have to consider both reasons related to the "image" of an historical person, (may be of public domain) both reasons related to original picture ownships......and indeed you have consider that the original paints is also manipulated! jastaV wrote: You are right as regard "public domain" photos of worldwide leaders. Well, for a lawer is not that complex, but for us mere mortals it is. It is even more complex for us because of international laws and treaties.. but like I said, it wouldn't be if we were specialists in that matter, something that, sadly, we are not. By the way, you are wrong about "manipulation". Even if the image is manipulated, it still has the original copyrights... think about that in the music industry... you can't take the last Madonna's single, add some drums to it, and claim that the result is now your property because you "manipulated it". Following the Madonna's example, Madonna had to pay millions to Abba for using the entry music of one of their hits for the beggining of a new song (can't remember the names right now, i am not a Madonna's fan ). Manipulation doesn't give you any rights over other artist work. Generalisimo wrote: Well, for a lawer is not that complex, but for us mere mortals it is. ......Manipulation doesn't give you any rights over other artist work. I think non authorized manipulation make things harder not easier!